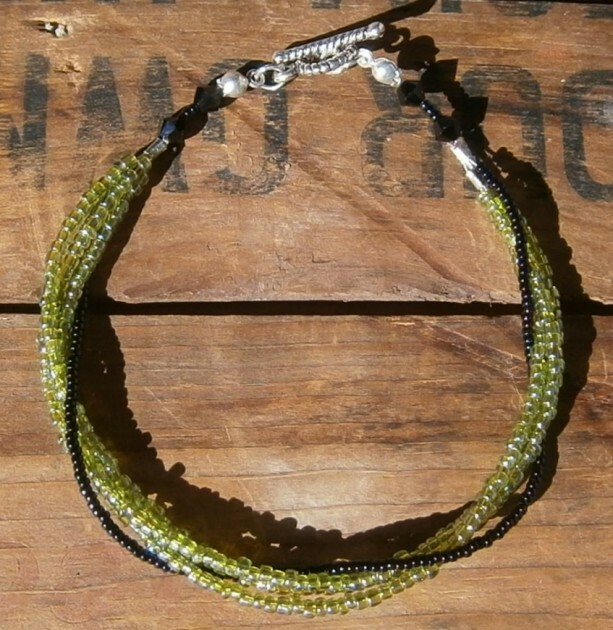 This bracelet consists of 3 strands of jade seed beads. 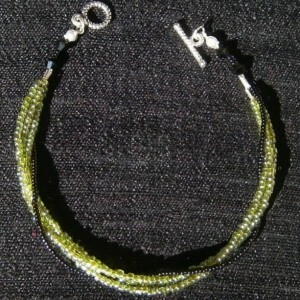 The 3 strands are wrapped in another strand of even smaller black beads. 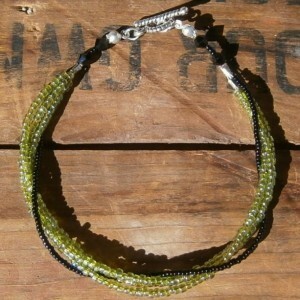 There are 2 jet black Swarovski crystals at both ends of the bracelet. 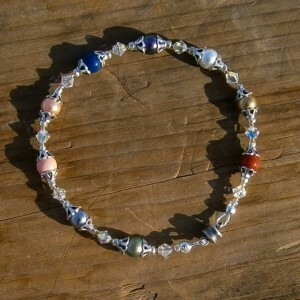 I have 2 bracelets available. 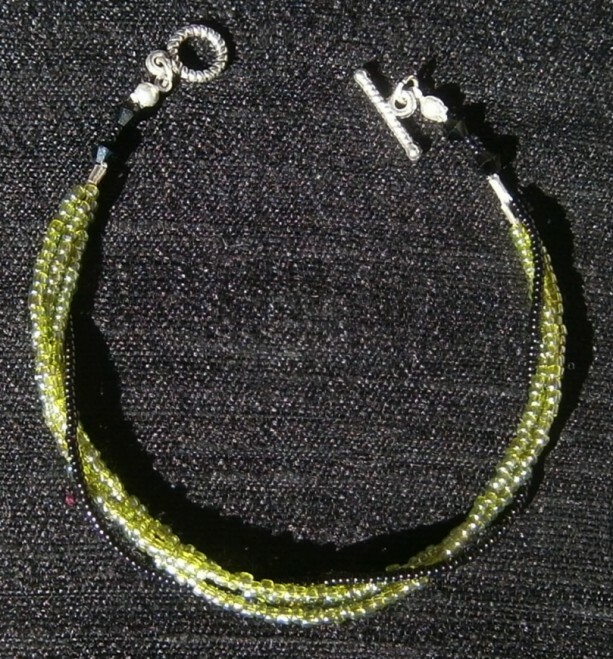 One is 8" total including the clasp and the other is 8 1/2".The clasp is a silver toned toggle clasp. Shipping: UNLESS you request otherwise, I ship everything by First Class mail with a tracking number. Upon your request, I can ship by Priority US Mail for $6.00. (Please see my shop policies.) If your shipping address is in Alaska or Hawaii or outside of the U.S., please message me before you purchase so that I can calculate shipping costs. Thanks for shopping!